You've heard me say this before and I'll say it again, Atlanta is the No. 1 tennis city in America. But it must also be pointed out that ATL is also the No. 1 doubles city in this country. You all love doubles here. You play doubles. You love watching doubles played at the highest level. You all are very knowledgeable doubles fans. You like the quick action and the cracked volleys at point blank range. You enjoy seeing the team aspect of tennis and two guys pulling together and encouraging each other. Tournament Director Eddie Gonzalez has lined up a wonderful and robust doubles field this week. And what a sensational lineup of doubles you will get to watch on Stadium Court today and tonight. The third match of the day will feature two players that honed their doubles skills in college. Stevie Johnson played No. 1 doubles for USC and led the mighty Trojans to four straight NCAA Championships. He will pair up with a young man who also played No. 1 on his college team, Treat Huey, who starred for the powerful University of Virginia squad. They will confront the tough tandem of Fabrice Martin of France and Purav Raja of India. The first evening match at 6:30 p.m. with be delicious and it will make your mouth water. How 'bout this duo? American tennis icon and former world No. 1 Andy Roddick coming out of retirement to combine with his long-time pal Mardy Fish formerly No. 7 in the world and also coming back from a long hiatus from the sport. The match will ask the question: Can these two reach back and capture their former form and chemistry? There will be smiles all around as they square off against former Wimbledon champ Jonathan Marry of Great Britain and Yen-Hsun Lu of Taipei. 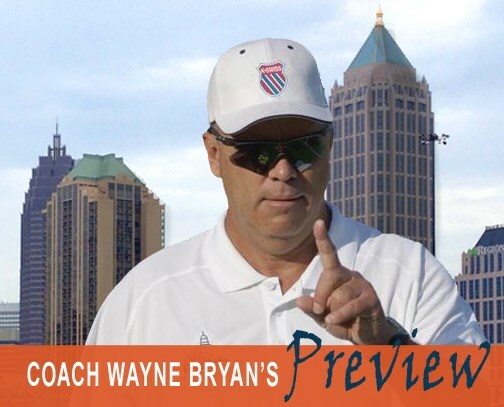 The last match of the day will showcase the rockin' Bryan Bros. making their return to Atlanta. You know Mike 'n’ Bob. You know their astonishing numbers: 106 titles, 16 Grand Slam championships, Olympic gold medals, and 10 times No. 1 in the world. All records. But they will have their hands full as they take on the big and humungous serving Aussie duo of Sam Groth and Chris Guccione. Three beautiful doubles matches. The play, the points, and the match-ups will be delightful, indeed.